A new study supports the possibility of an association between Agent Orange and development of a form of leukemia in Vietnam veterans’ children but stops short of establishing a direct connection. Agent Orange was the infamous herbicide sprayed extensively in Vietnam to defoliate leafy jungles and eliminate hiding places for enemy troops. Estimates are that the spraying may have boosted the risk of the rare illness, which chiefly strikes in infancy or early childhood, by between 70 percent and 300 percent, researchers say. Conducted by a University of North Carolina at Chapel Hill public health expert and a national committee of other experts, the study involved compiling and reviewing the best available research evidence of Agent Orange’s effects. The National Academy of Sciences’ Institute of Medicine convened the 2000 Committee to review the latest findings on the herbicide and asked Dr. Irva Hertz-Picciotto, professor of epidemiology at the UNC School of Public Health, to be chair. Congress’s Agent Orange Act of 1991 mandated that a series of studies be conducted every two years for 10 years to evaluate the effects of herbicides that were used in Vietnam on Vietnam veterans’ health, she said. After reviewing hundreds of studies from the United States and abroad, Hertz-Picciotto and colleagues found no reason to change decisions of previous committees about possible associations between herbicides such as Agent Orange and those five illnesses, the scientist said. What’s new is the link to acute myelogenous leukemia (AML) in children of veterans. While direct measures of herbicide exposures weren’t available, the committee found the studies persuasive since they were conducted in Vietnam veteran populations and showed a specific link to AML and not to other leukemias, the scientist said. The studies also were either well-controlled or showed a large enough boost in risk to reduce the likelihood of being caused by other factors. “Finally, in the U.S. study the strongest association was seen in children diagnosed at the youngest ages — cases that are considered the strongest candidates to have been affected by parents’ exposures,” she said. Statistical evidence also emerged in 1998 connecting Agent Orange with the unusual and debilitating birth defect known as spinal bifida in children, respiratory cancers, prostate cancer, multiple myeloma, both acute and sub-acute transient peripheral neuropathy and porphyria cutanea tarda, another skin disorder, Hertz-Picciotto said. That evidence was weak and inconclusive, however. U.S. forces sprayed Agent Orange and other defoliants over parts of South Vietnam and Cambodia beginning in 1962, she said. 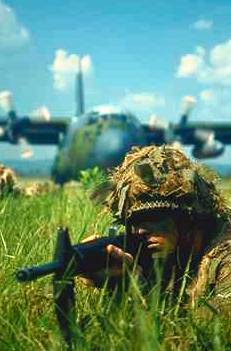 Most large-scale sprayings were conducted from airplanes and helicopters, but considerable amounts of herbicides were dispersed from boats and ground vehicles and by soldiers wearing back-mounted equipment. A 1969 scientific report concluded that one of the primary chemicals used in Agent Orange could cause birth defects in laboratory animals. As a result, the U.S. military suspended use of Agent Orange in 1970 and halted all herbicide spraying in Vietnam the following year. Leukemia is the most common type of childhood cancer, Hertz-Picciotto said. Acute myelogenous leukemia is a rapidly spreading, usually fatal form that originates in certain bone marrow cells. The disease accounts for about 8 percent of all childhood cancers. Little is known about what causes such diseases in children, how parental chemical exposures affect their offspring or potential environmental risk factors for children.